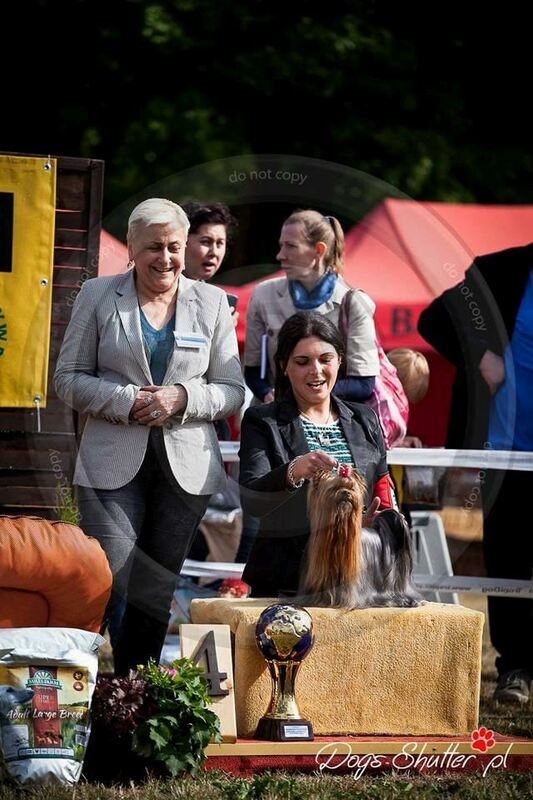 like to show some nice and interesting moments. 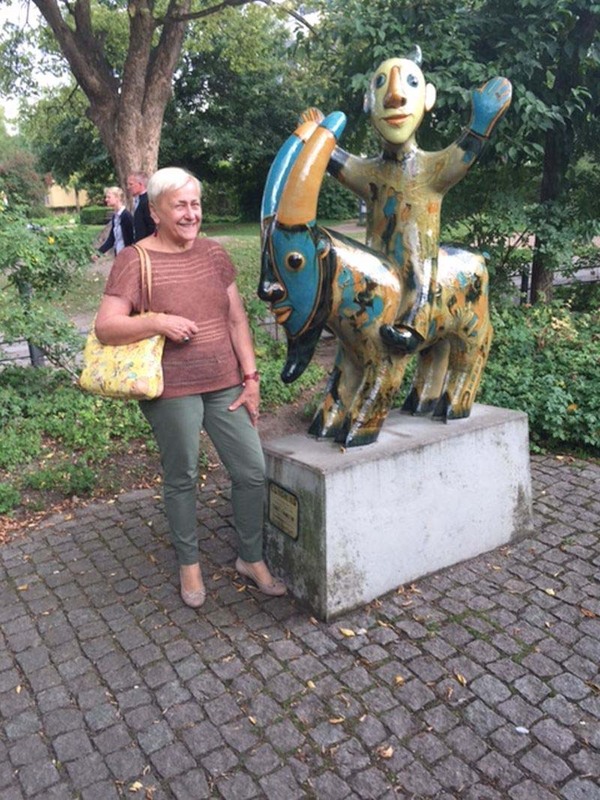 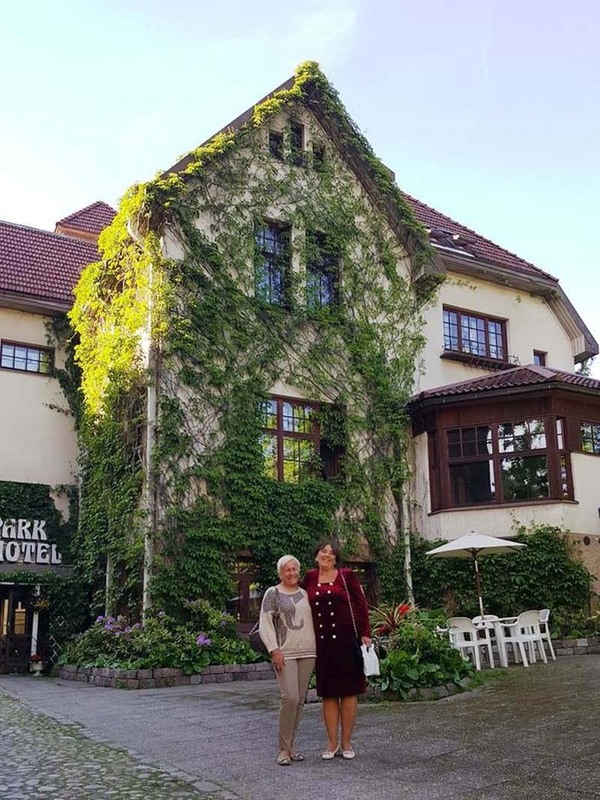 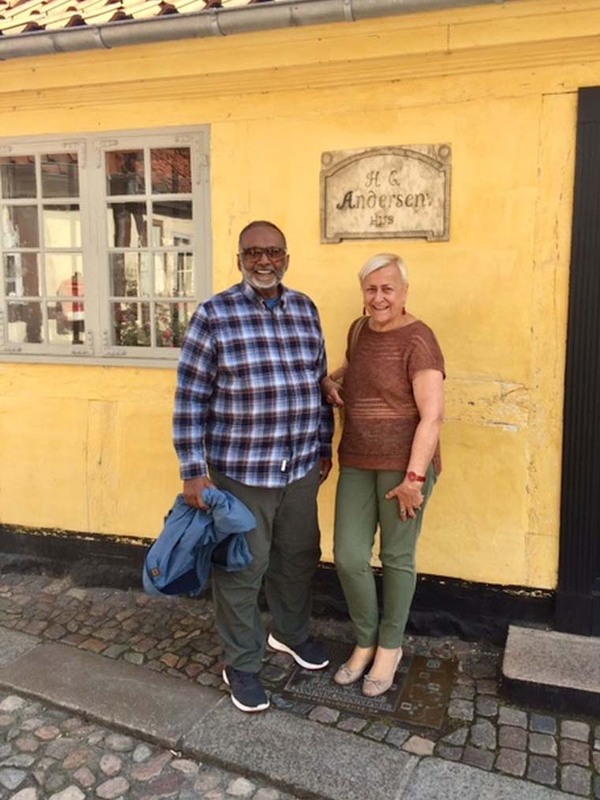 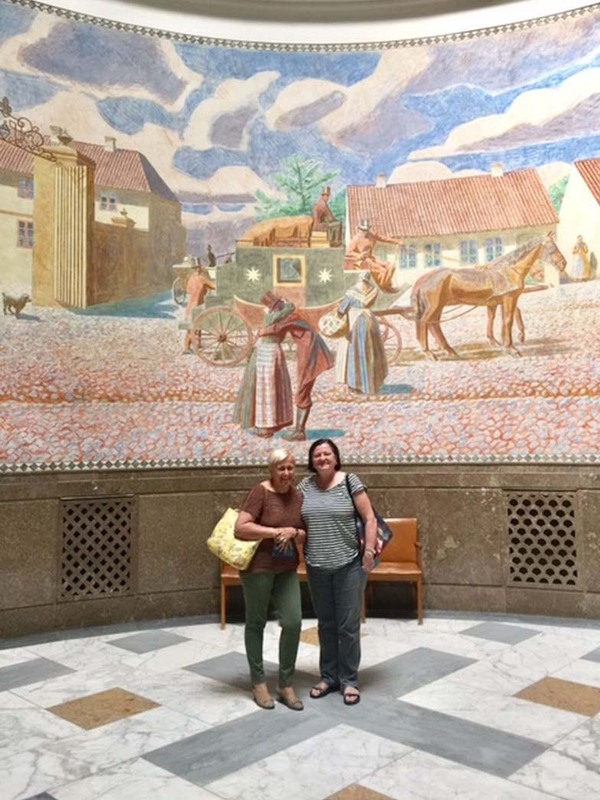 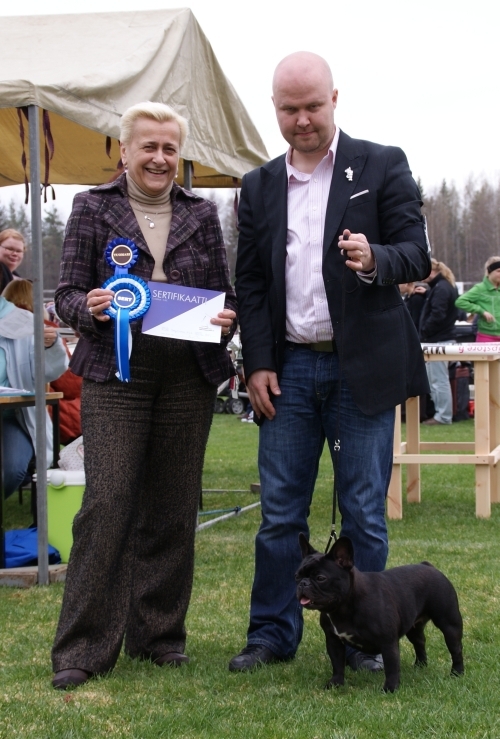 thanks to Mrs. Helle Dan, the President of the Club. 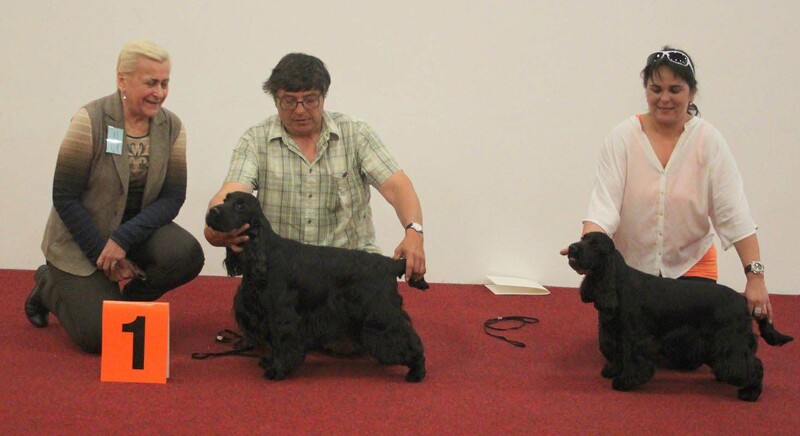 I judged group III FCI and Group IX FCI. 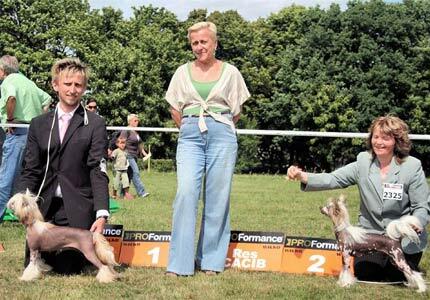 In the picture below BIS. 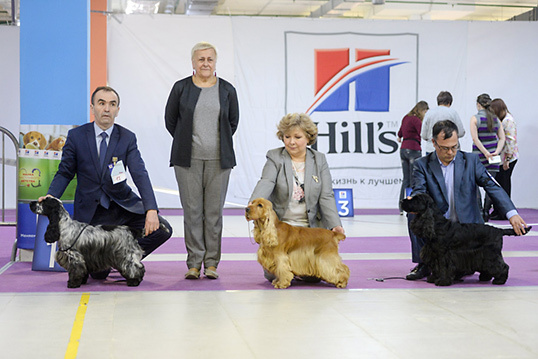 I judged Group VIII FCI and I chose the winners of Group VIII. 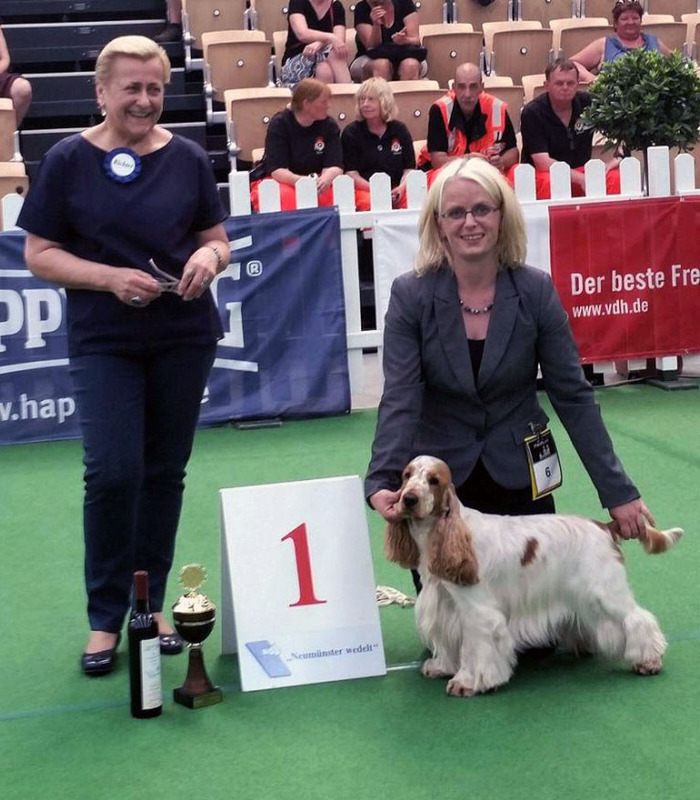 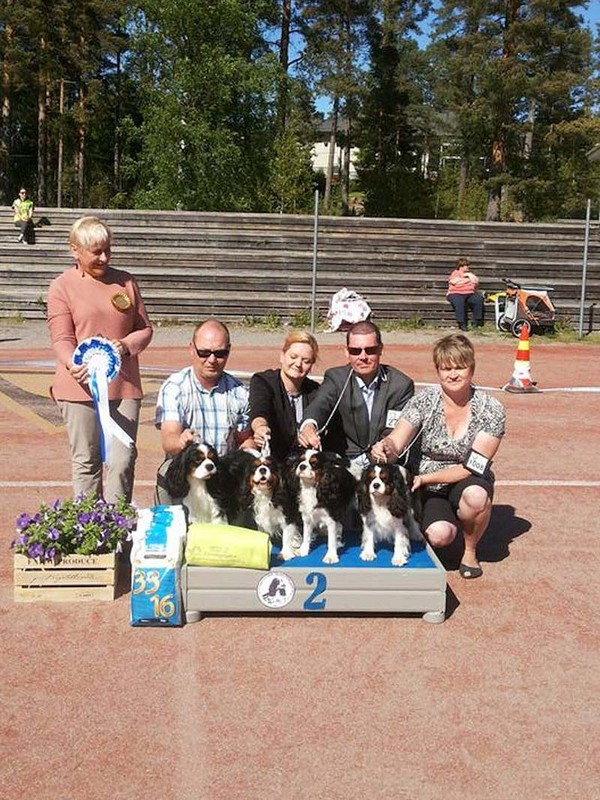 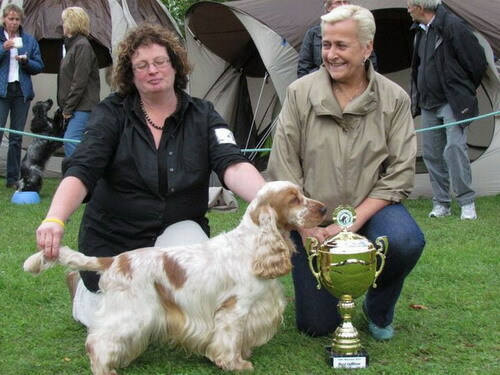 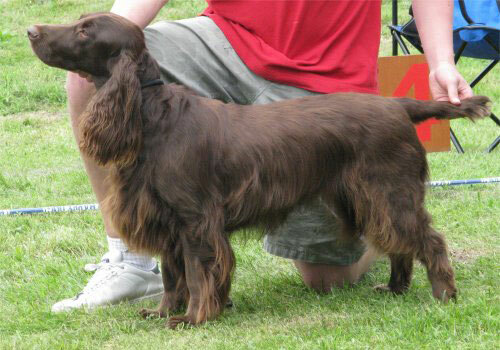 In the picture below winner of Group VIII English cocker-spaniel HARADWATER Mr. Bojangles. 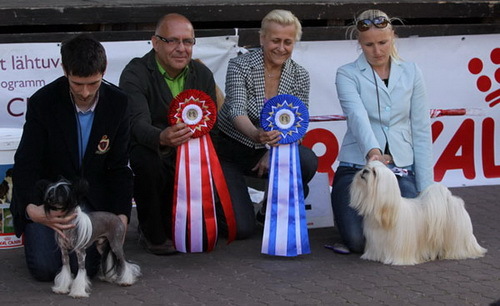 I had the pleasure to judge a well organized club show in Slovakia. 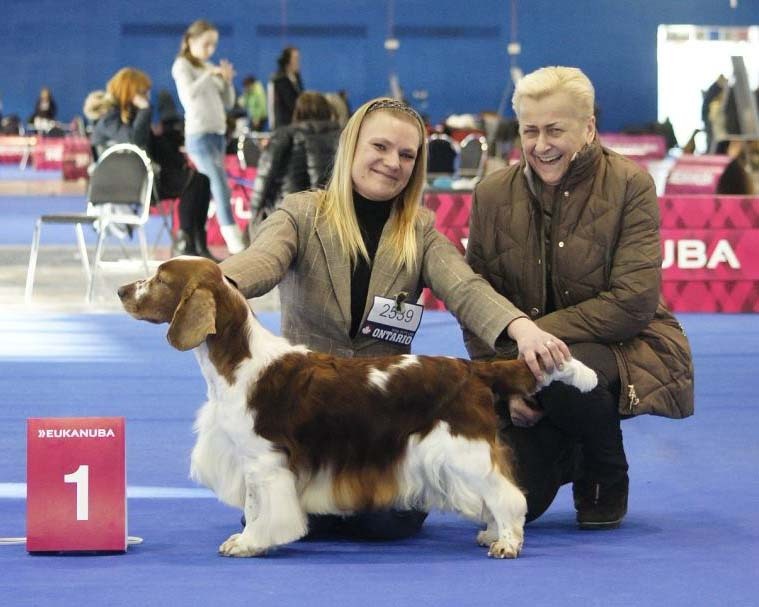 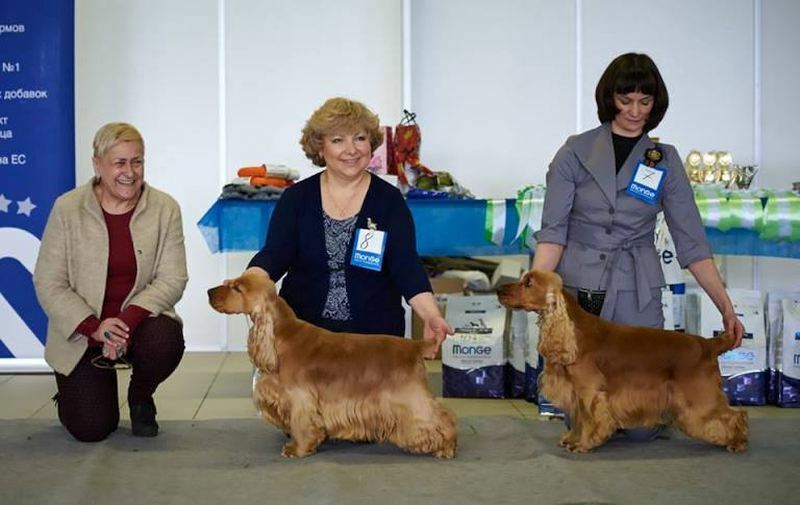 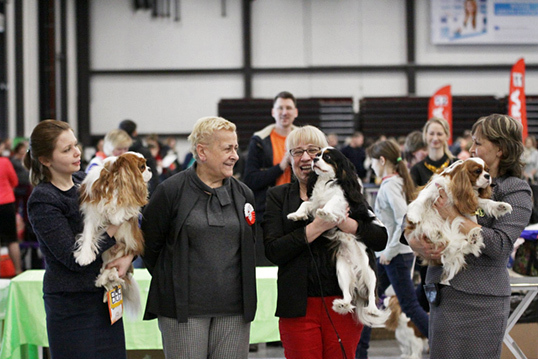 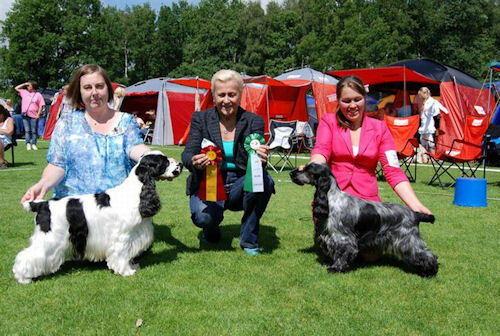 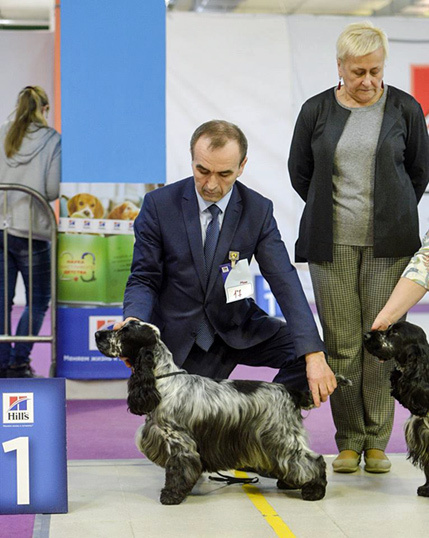 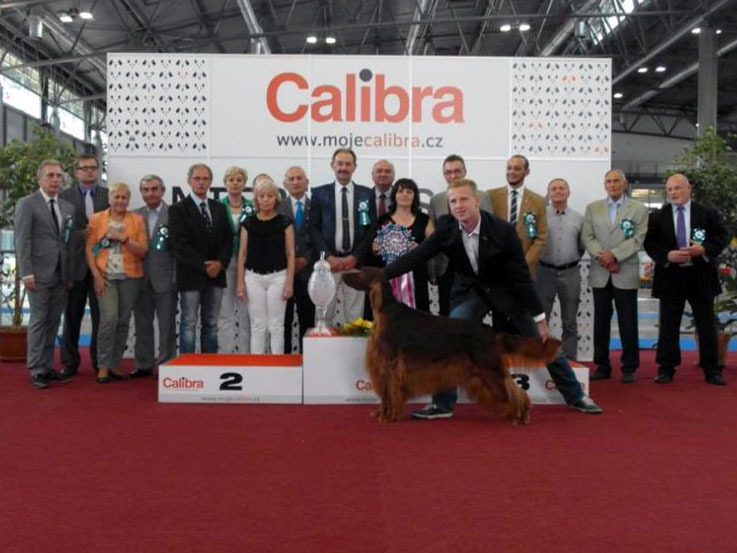 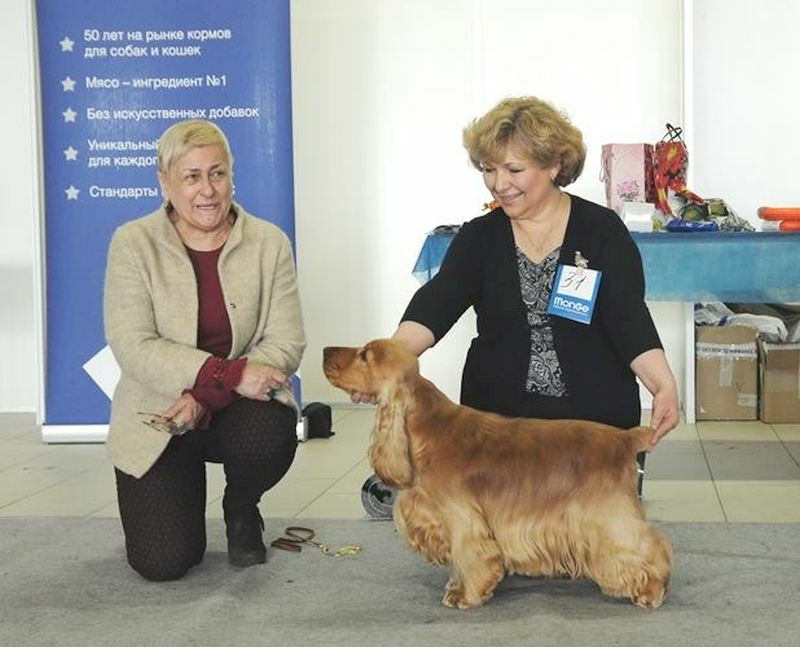 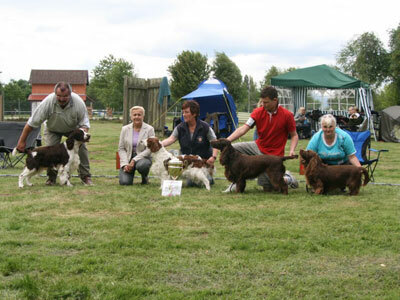 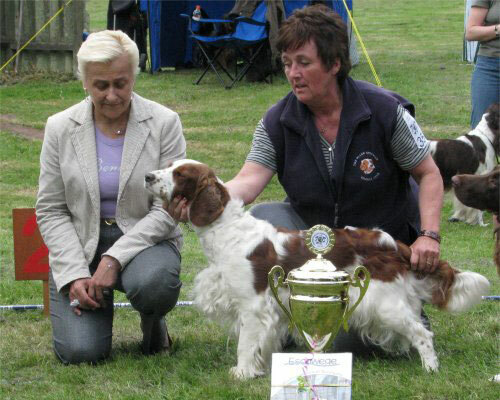 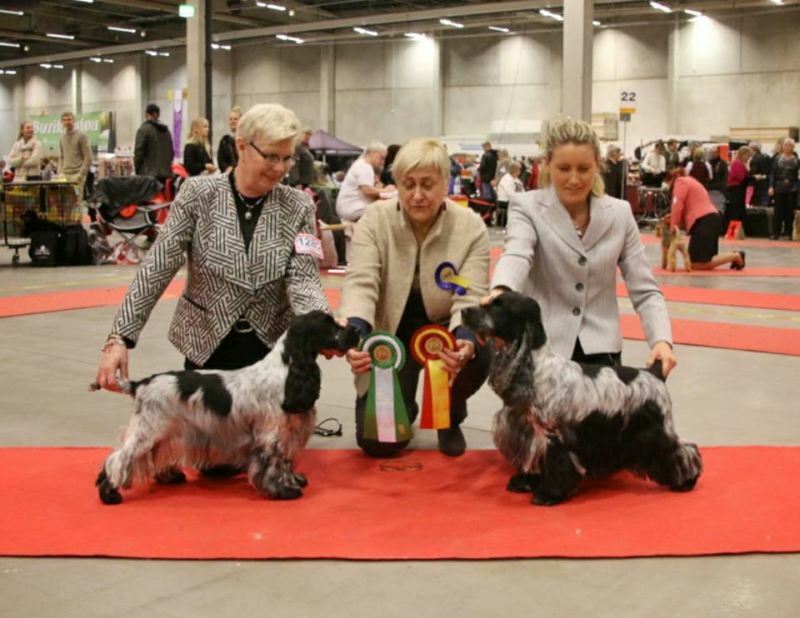 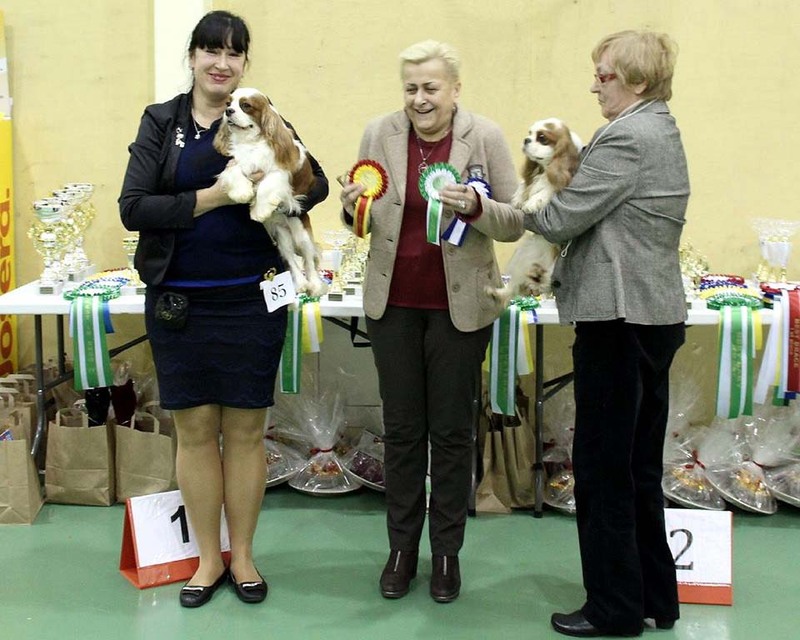 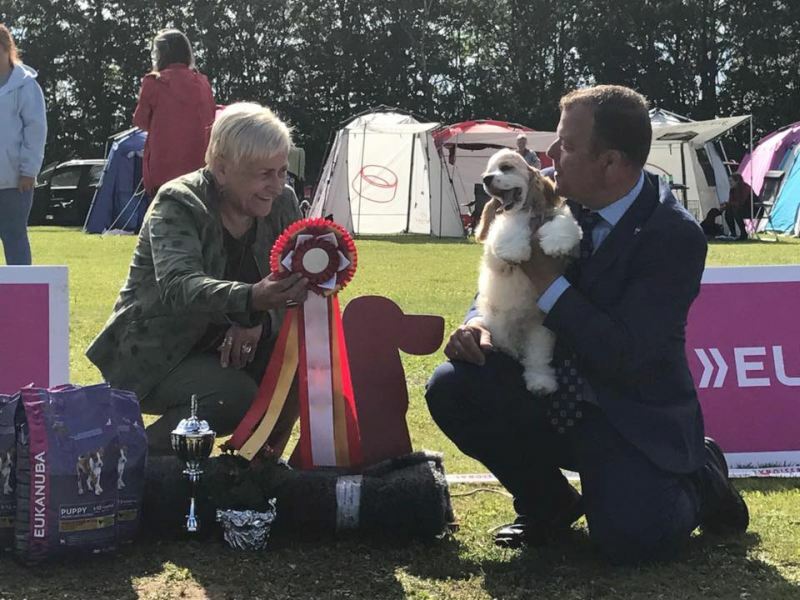 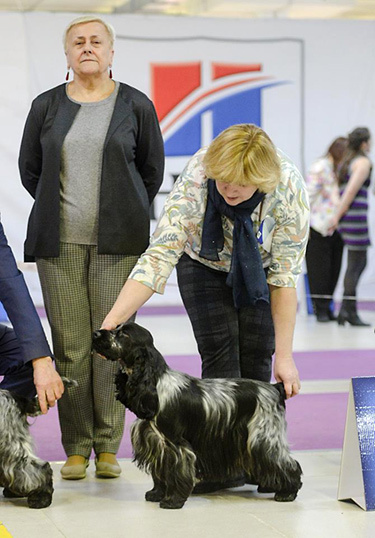 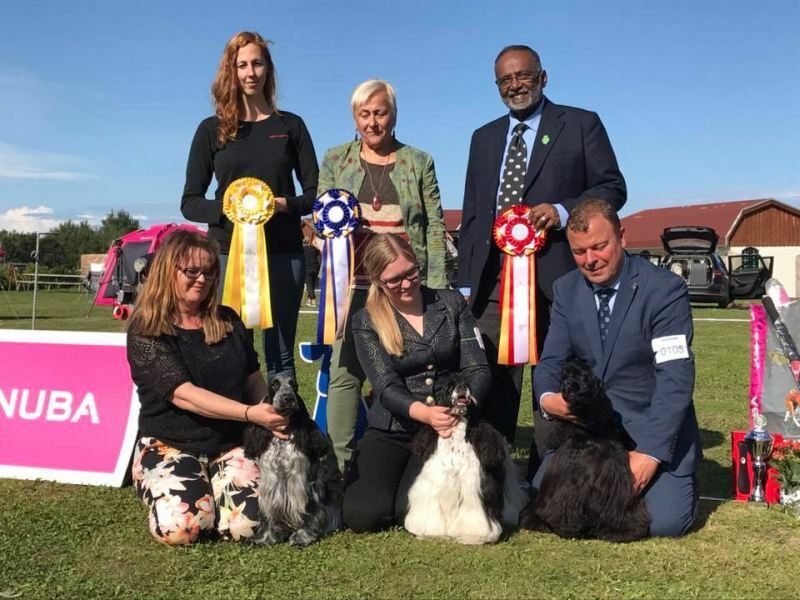 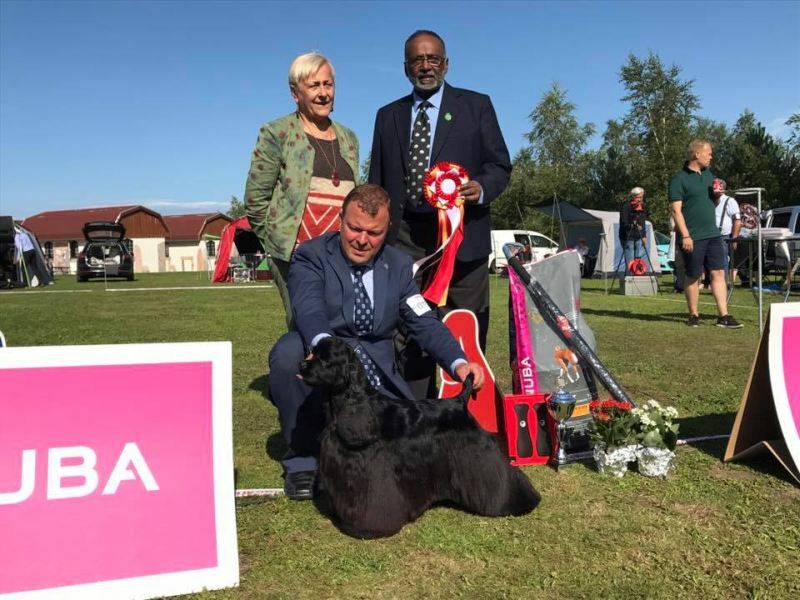 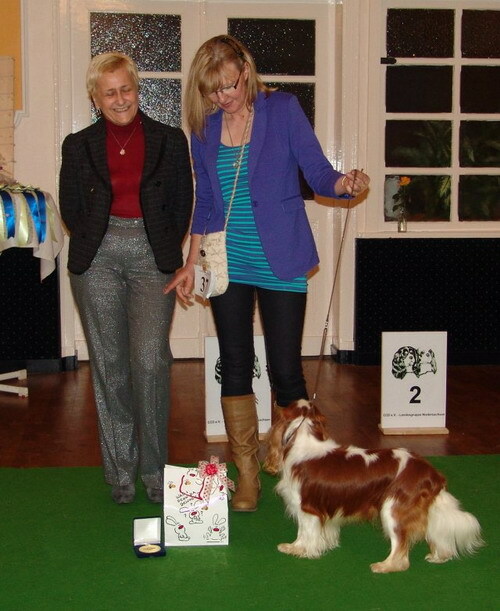 I had the pleasure to judge my favourite breed: English Cocker-Spaniel. 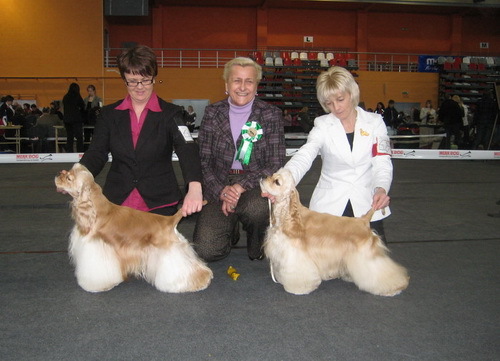 Beautiful female MERCEDES Baccarat, which I gave BOB. 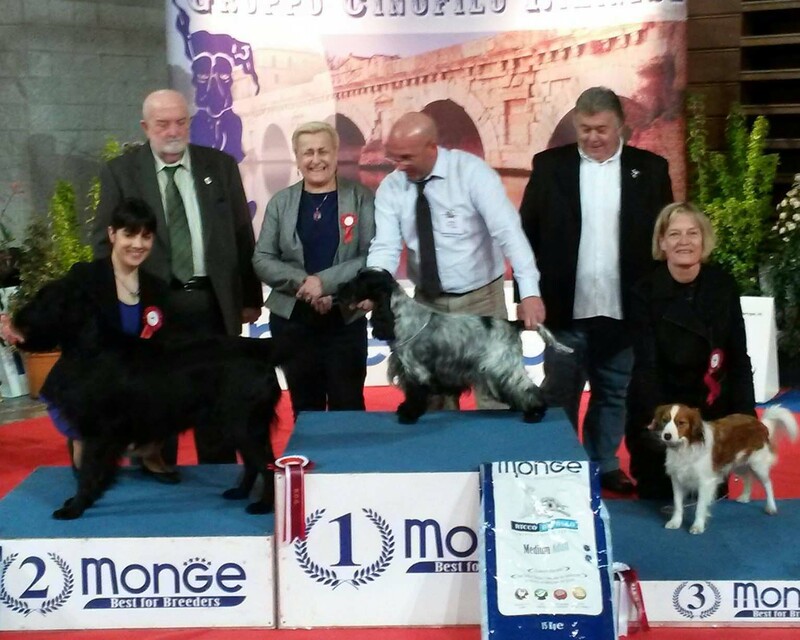 Choosing a Group VIII, first place Francini's DAY BY DAY. 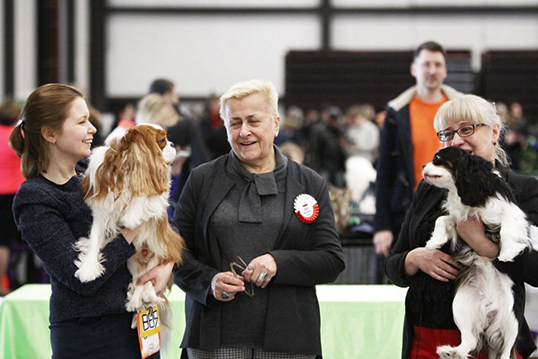 the opportunity to judge a nice group of dogs. 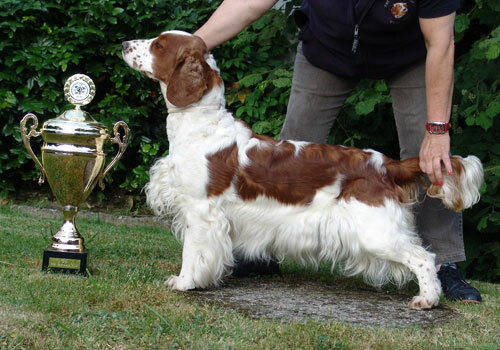 Best of Breed Welsh Springer Spaniel. 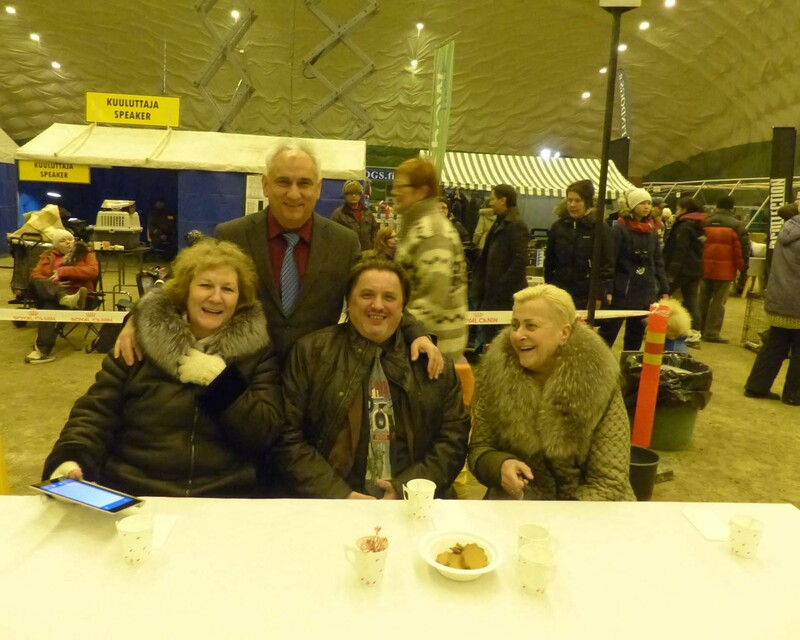 the tent the temperature was around 0 degrees Celsius. 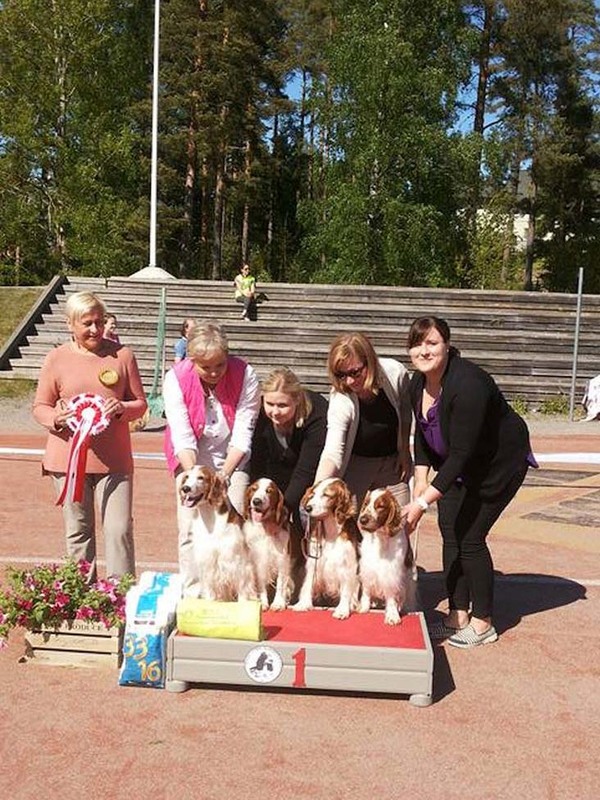 For the Finns it's nothing special. 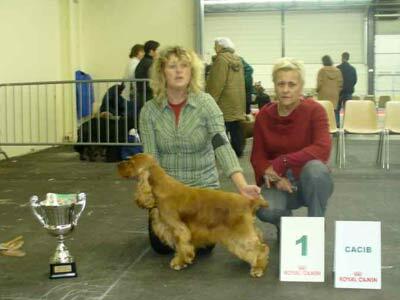 very high. 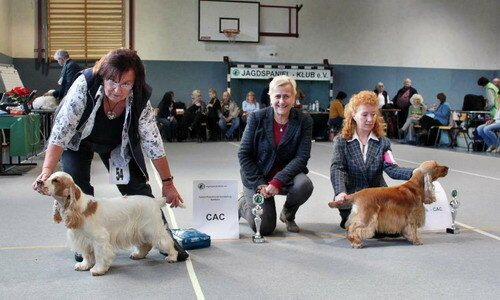 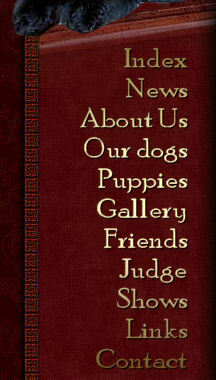 I was very pleased to judge dogs present there. 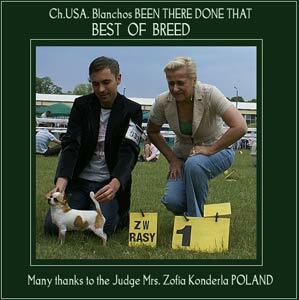 I am in the company of colleagues judges, we are all looking forward to the BIS. 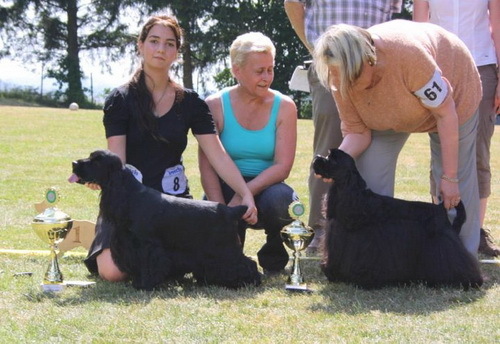 CurlyCo Show Me the Sun. 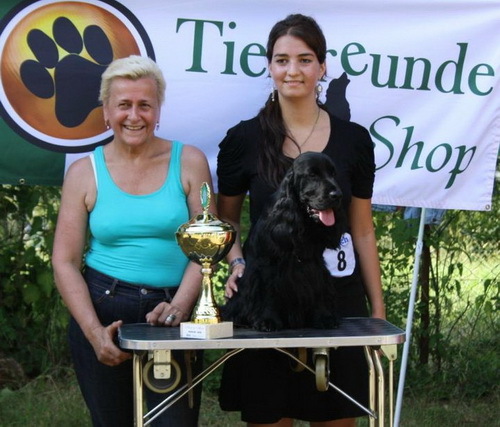 She won the group and took the 3rd place at the BIS. 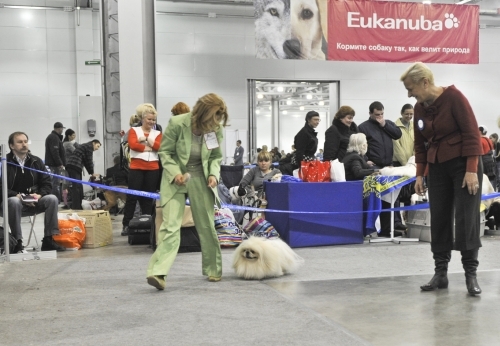 Beautifully organized show. 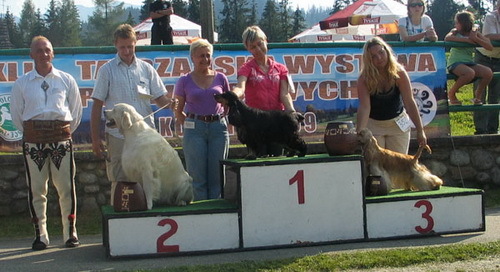 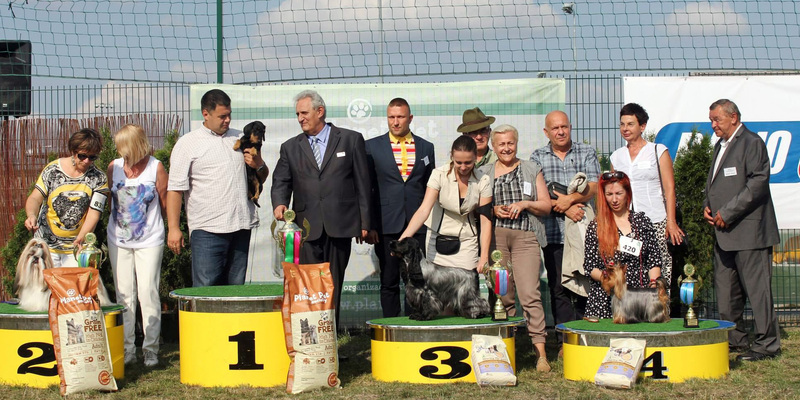 A beautiful stake of dogs was presented in the ring. 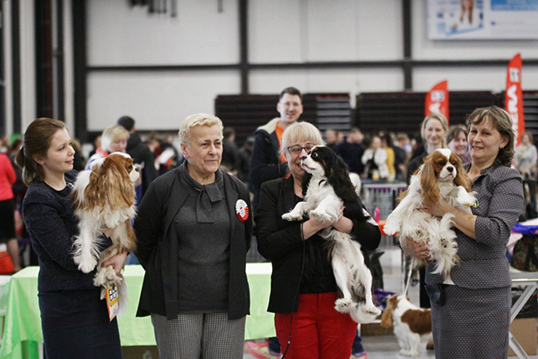 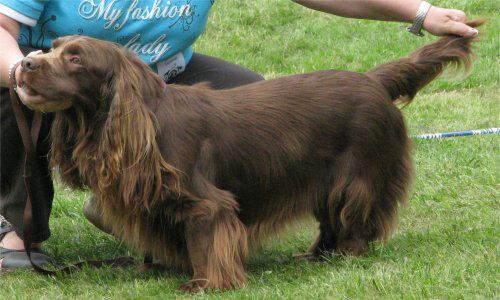 I judged my favorite breed - spaniels, including English Cocker-Spaniel. 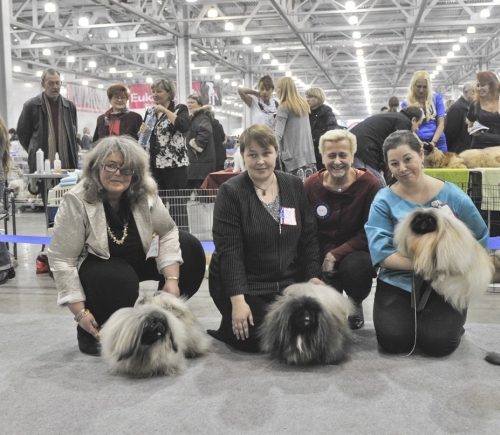 I also had a nice meeting with friends judges. 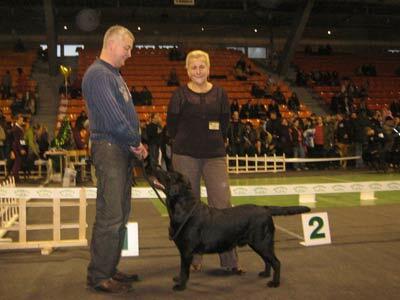 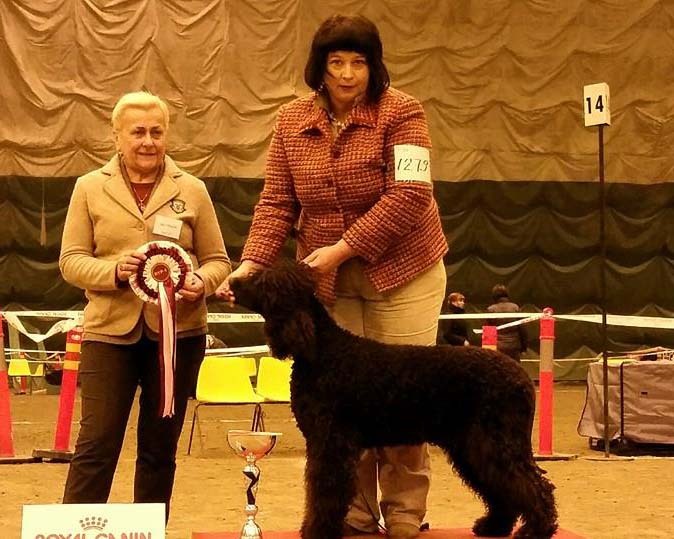 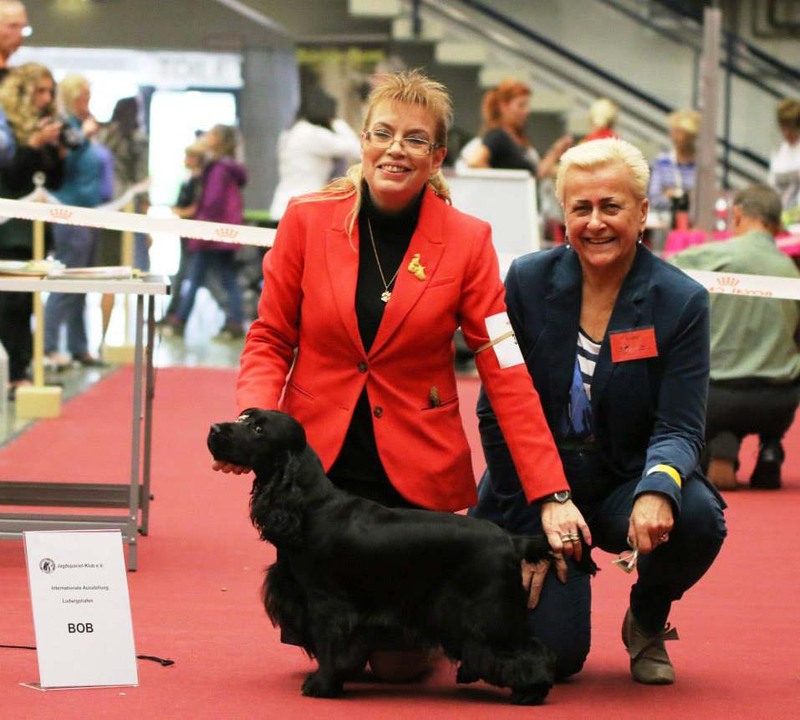 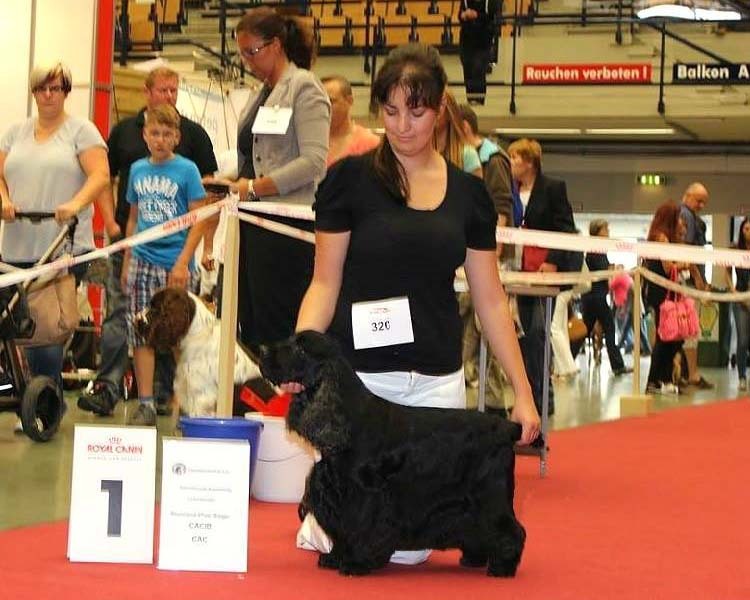 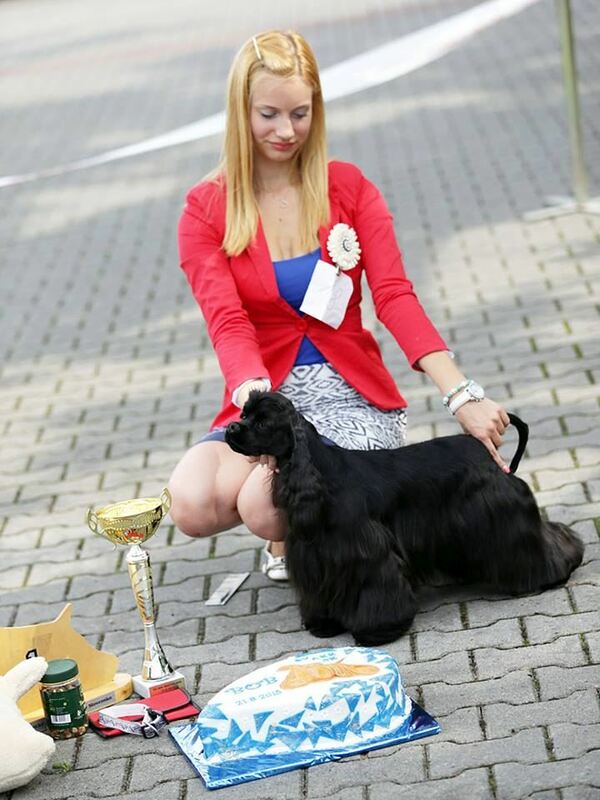 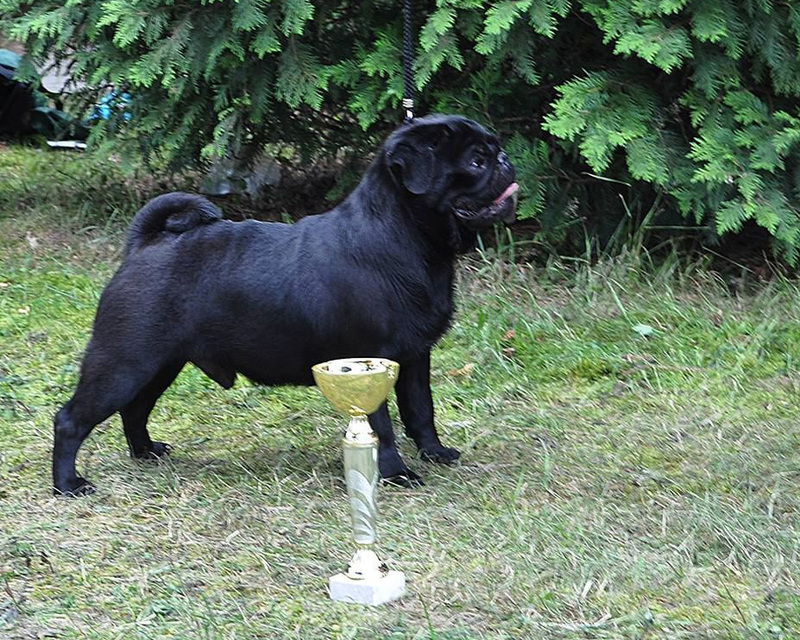 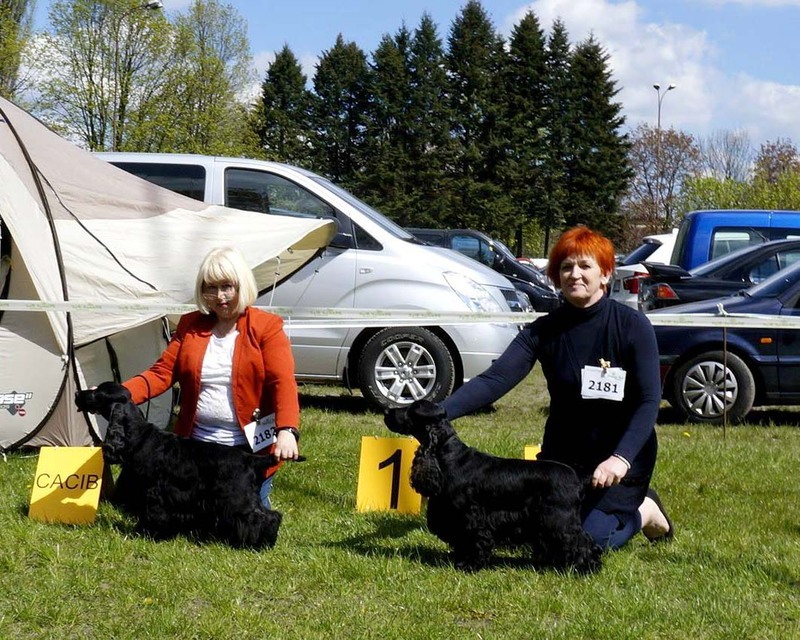 The winner BOS - beautiful black dog SERBIAN AFFAIR OF LUNA'S DYNASTY. 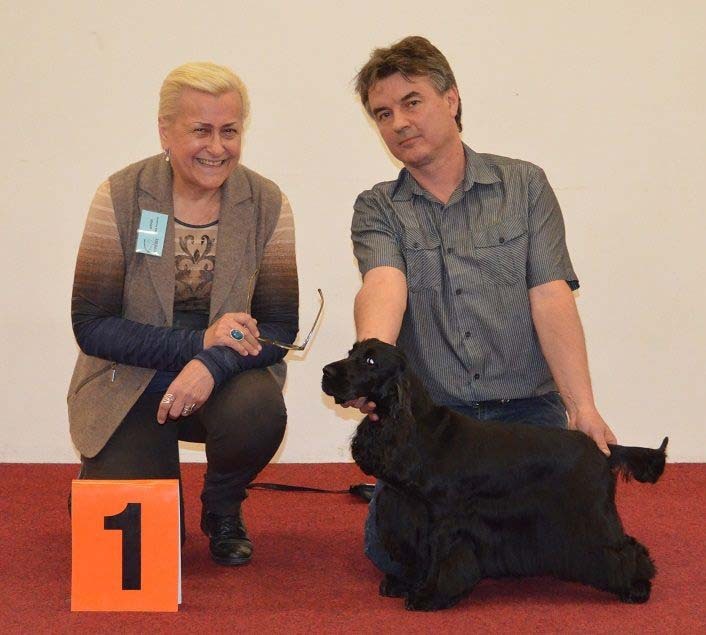 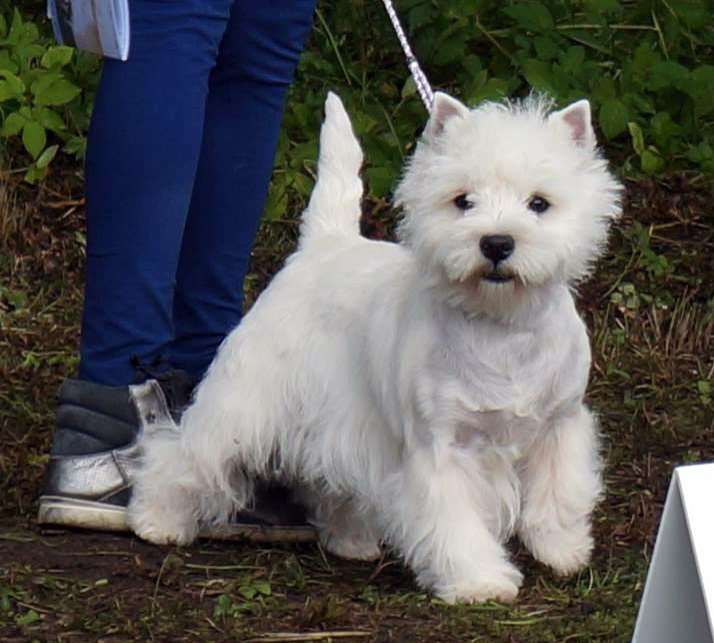 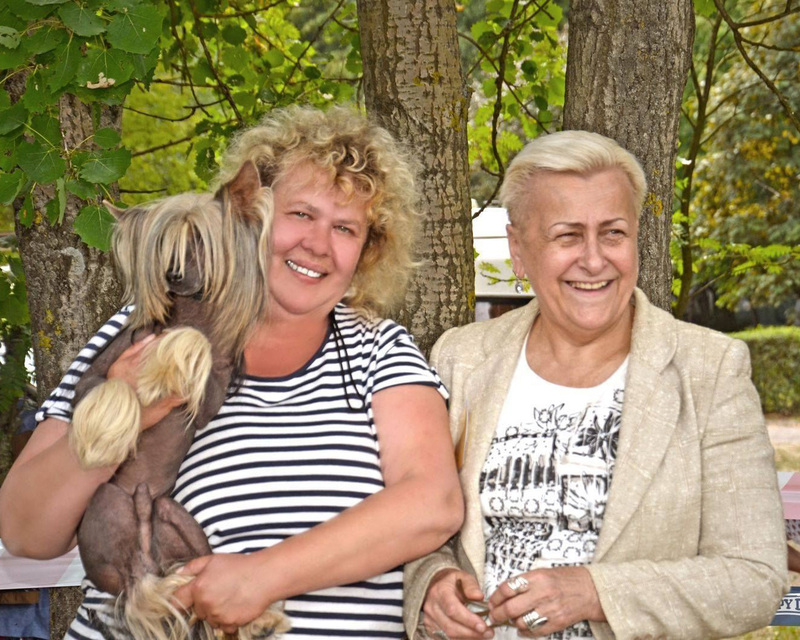 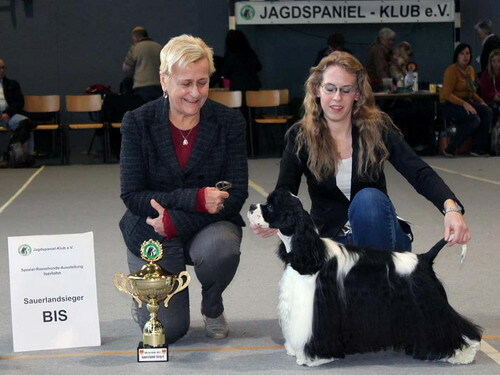 The winner BOB - beautiful black female LOVE STORY VOM ODENWALD. 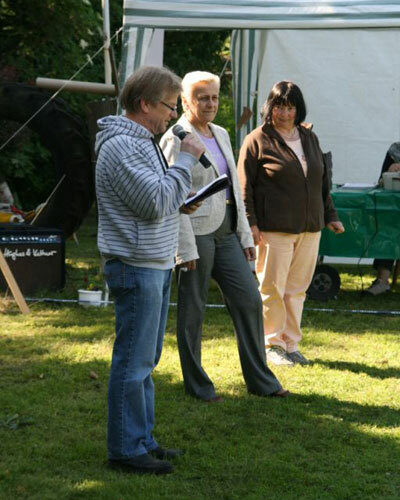 terrible heat that accompanied that day, and happily finish the event. 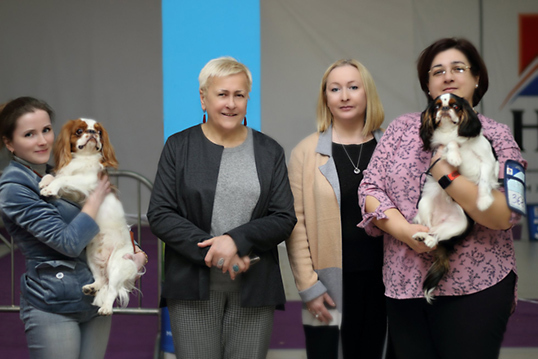 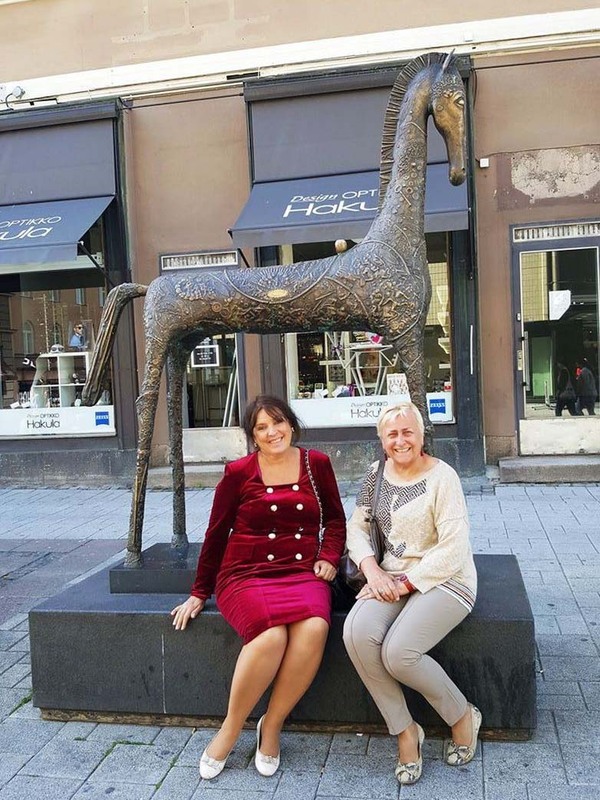 że z radością co roku przyjmuję zaproszenia od litewskich przyjaciół. 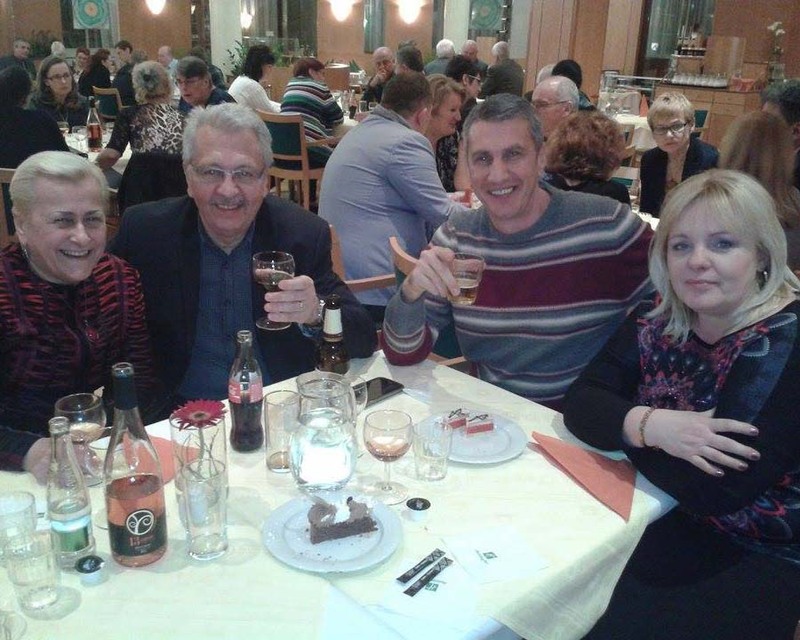 every year I accept invitations from lithuanian friends. 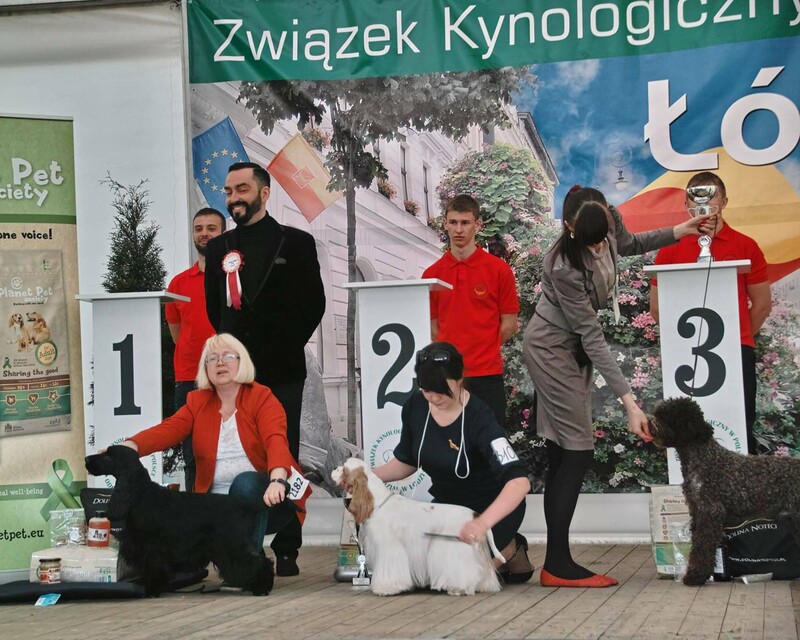 Serdeczna atmosfera i wspaniali wystawcy. 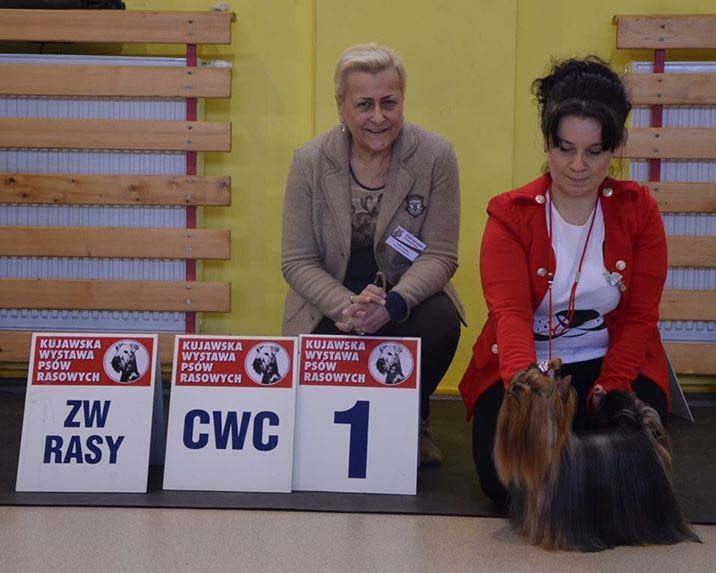 Coż organizacja nie tej klasy co na Litwie. 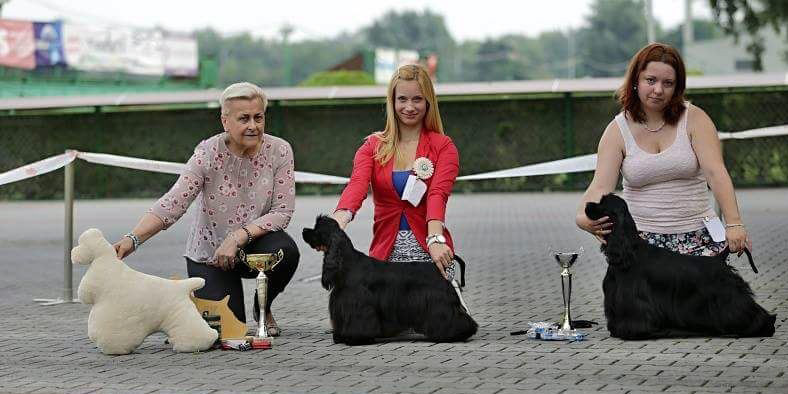 Czułam się trochę bardziej jak "u siebie" pod tym względem.